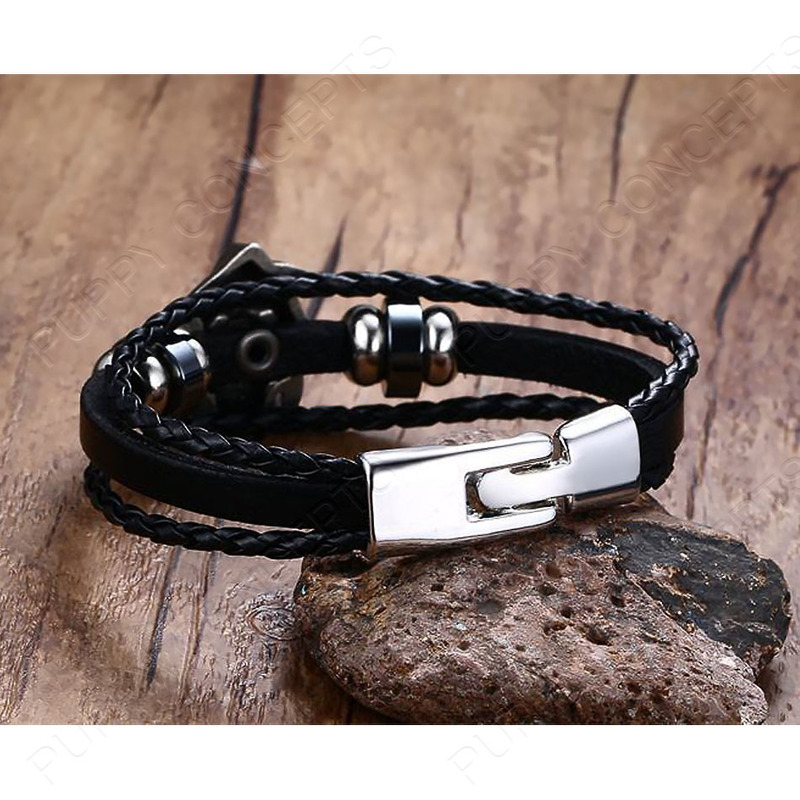 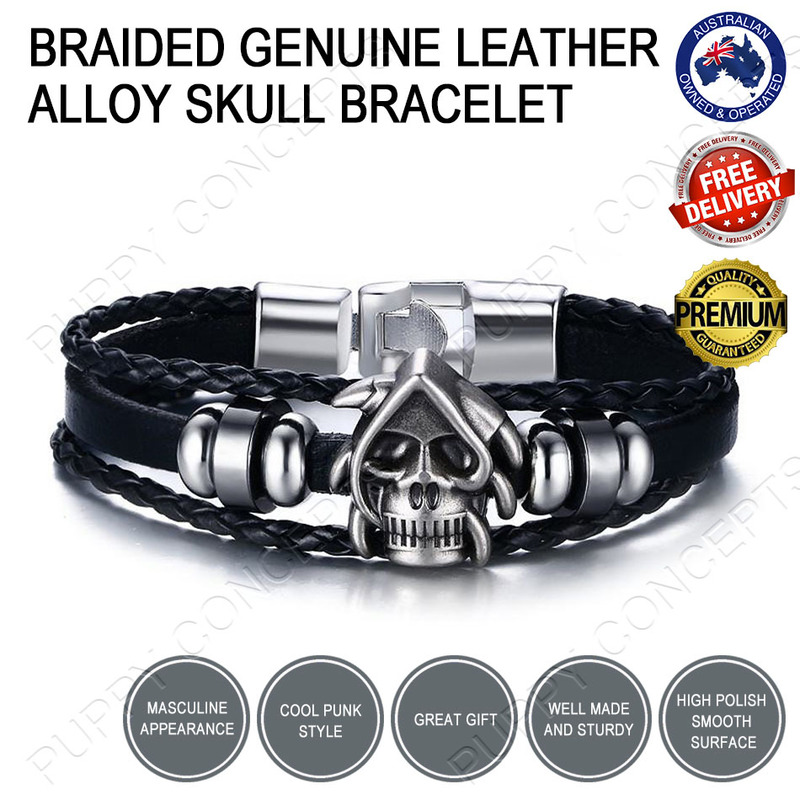 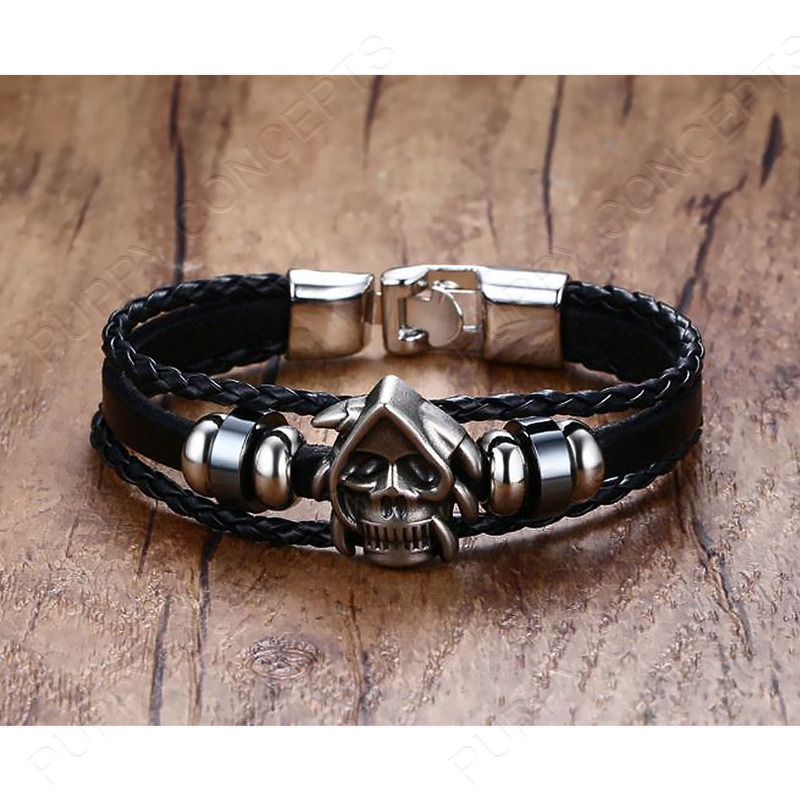 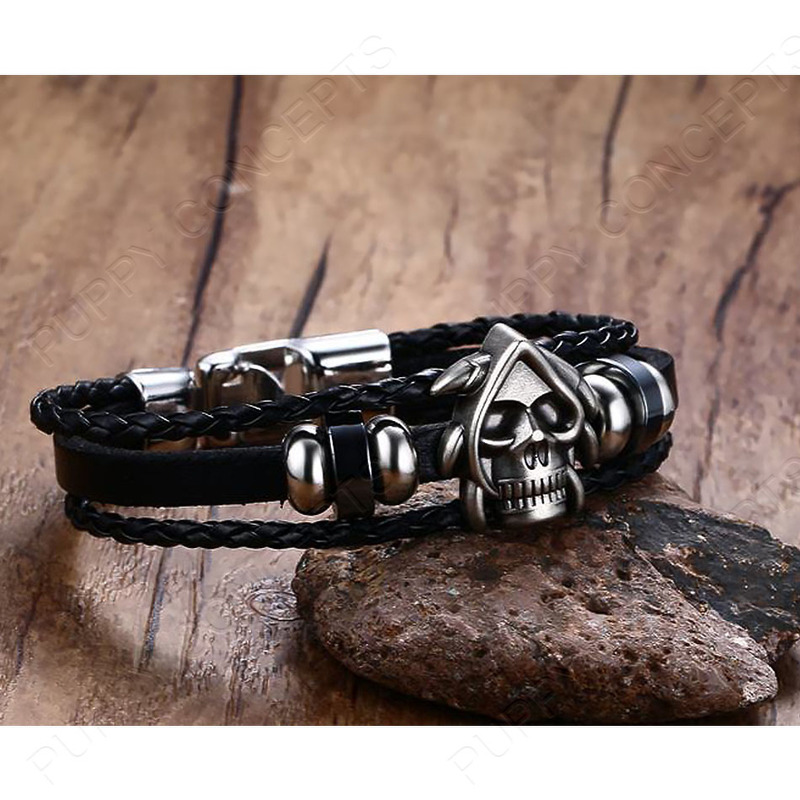 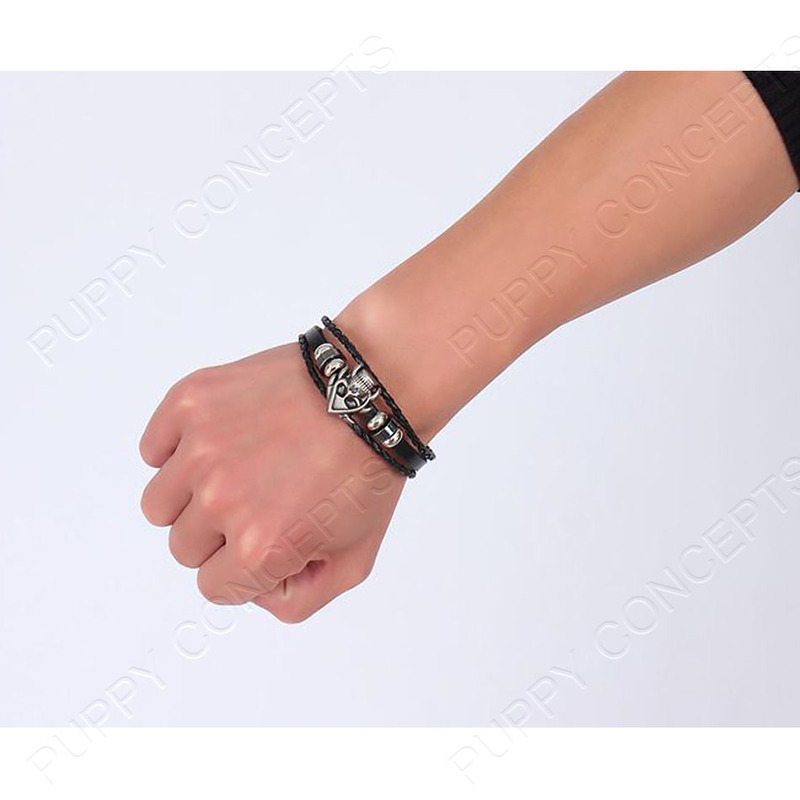 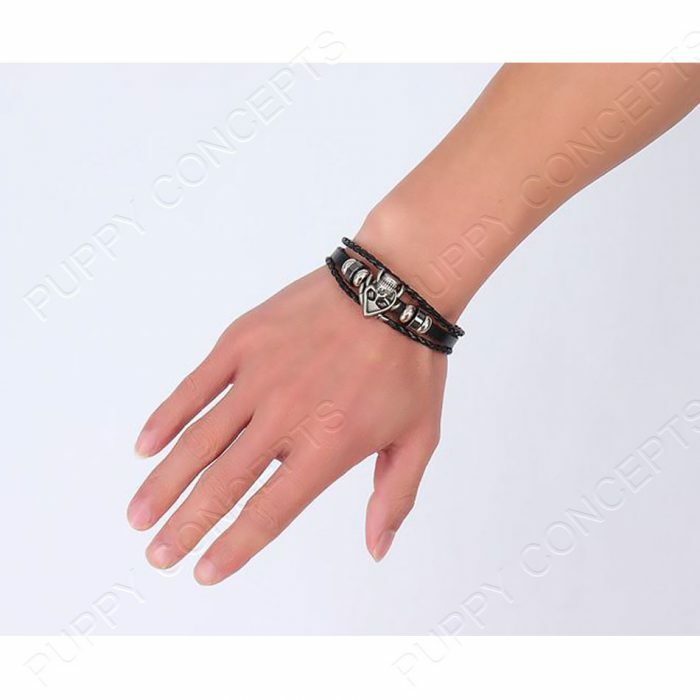 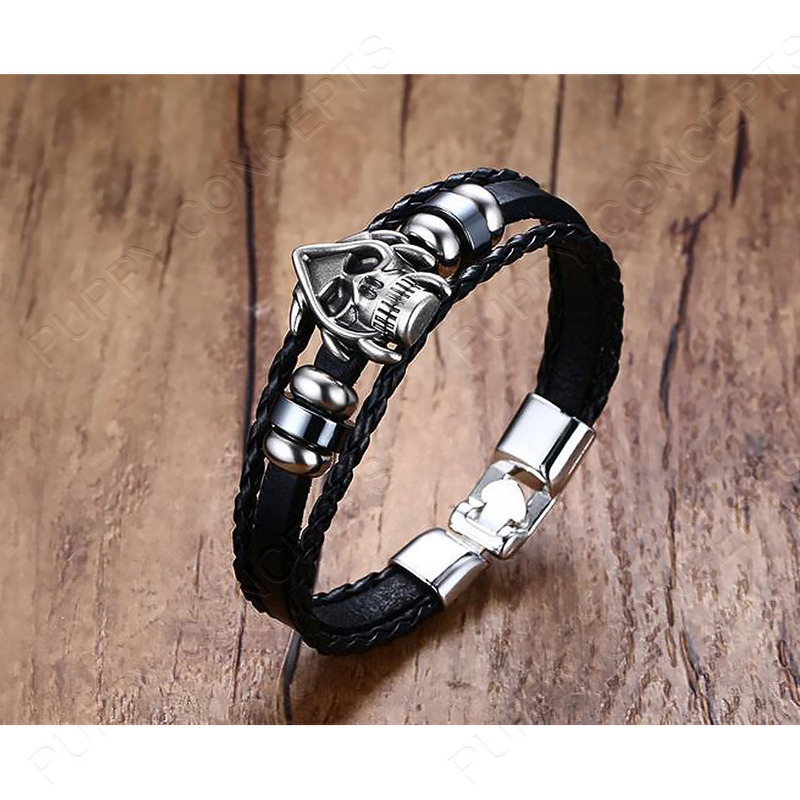 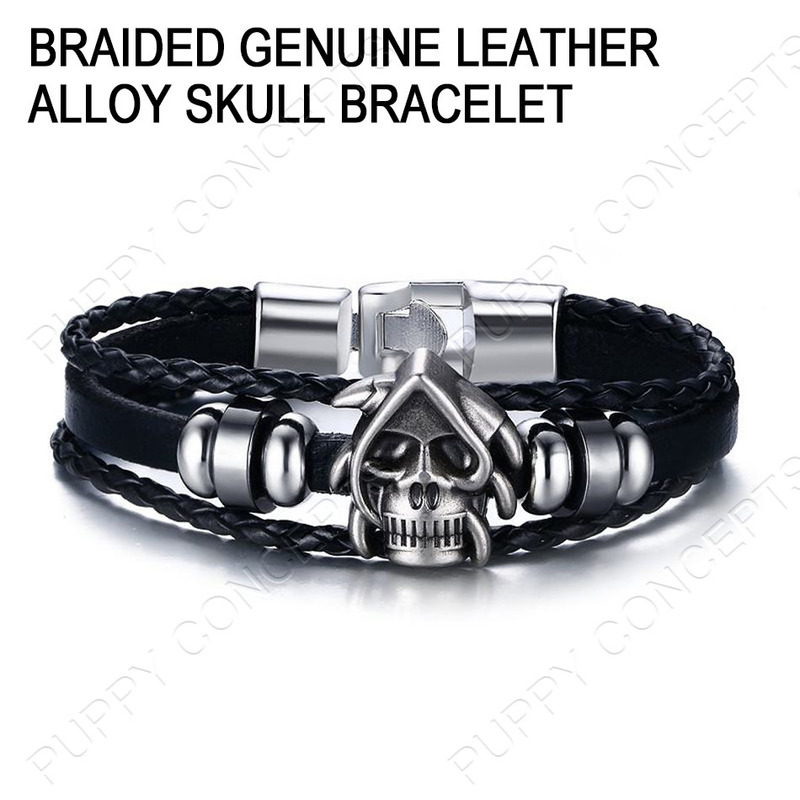 Our Braided Genuine Leather Alloy Skull Bracelet is the very essence of masculine style. 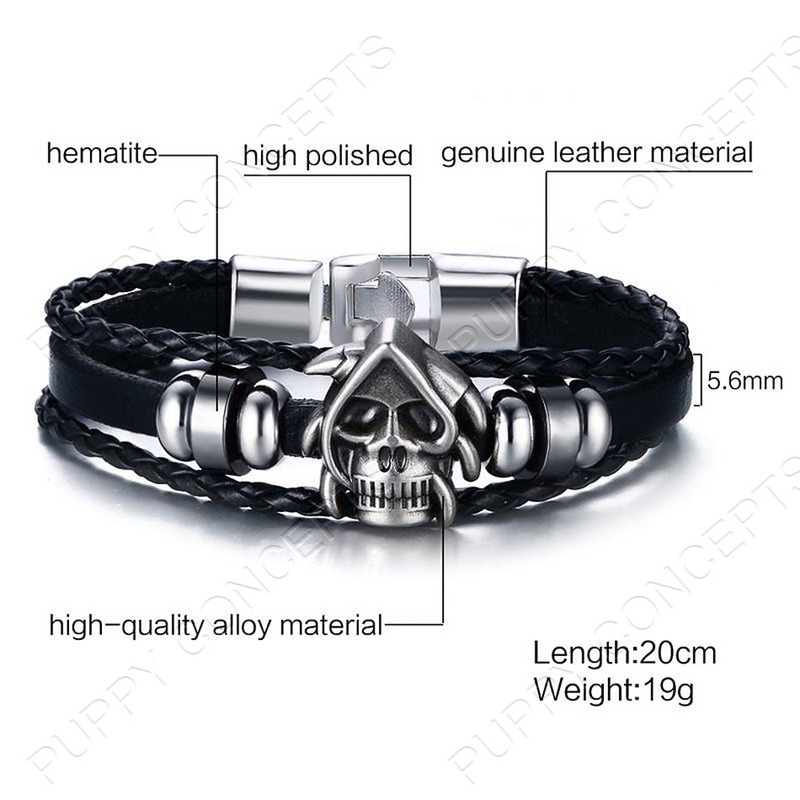 Band made using genuine leather; skull made of high quality alloy steel; two bigger side rings made of hematite. 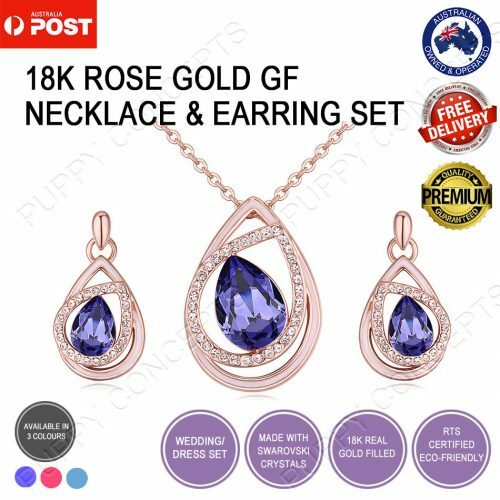 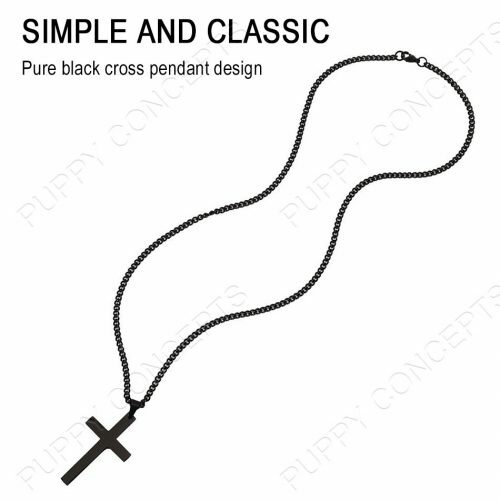 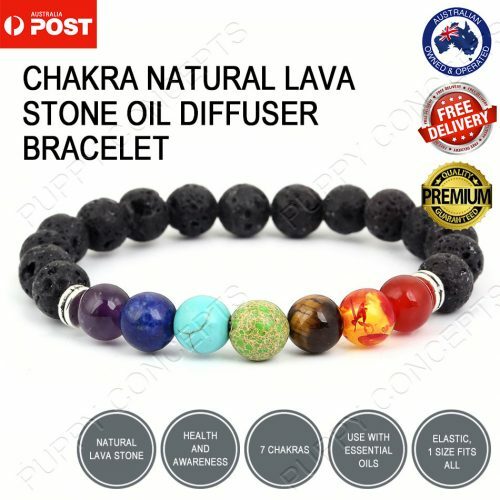 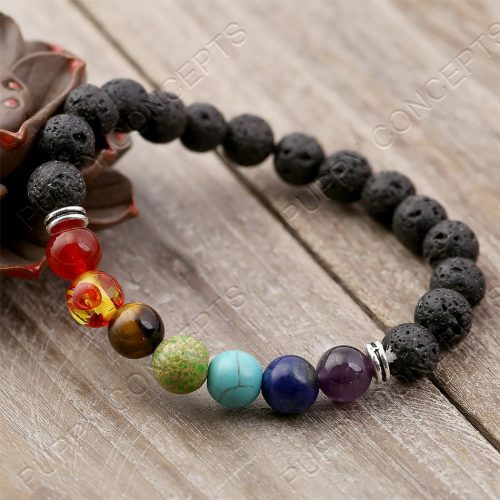 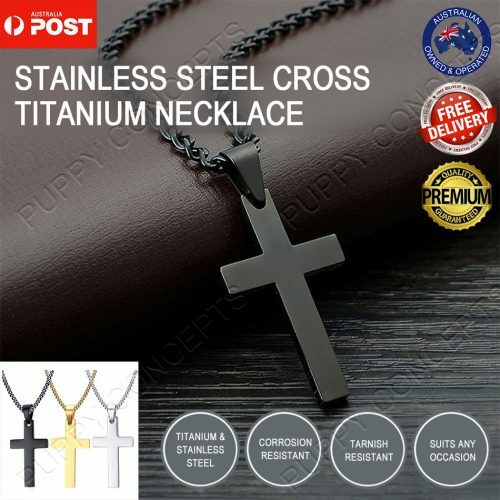 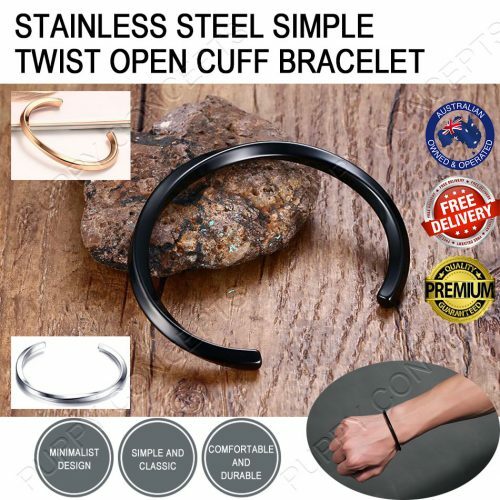 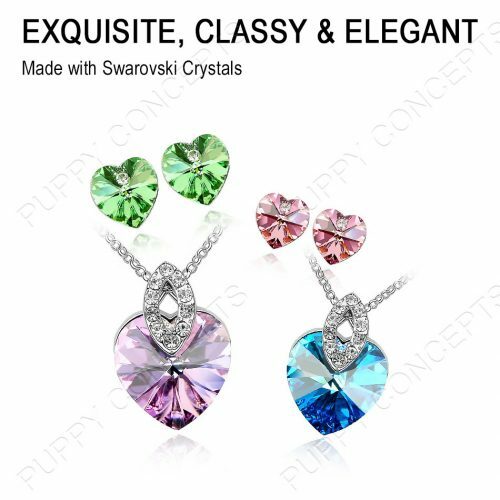 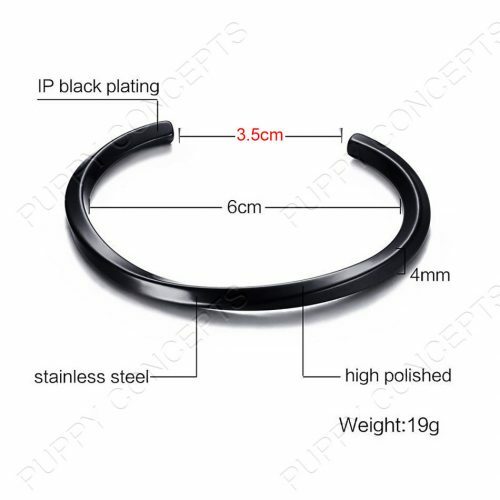 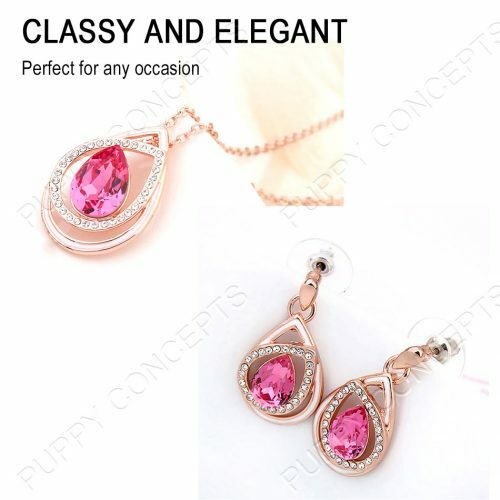 It is well made, sturdy, and high polish smooth surface makes it comfortable to wear.